Households where mortgage payments are 30% or greater 14%. 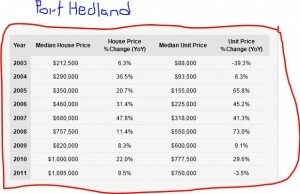 This data shows that currently less that 30% of Port Hedland homes are owner-occupied. With the median house price of $1.18million as at Dec 2012, it isn’t any wonder that more people living in town don’t own their own home. Soon the majority of the town will be made up of employees who live in employer-sponsored housing. Port Hedland has a housing crisis which is stopping small business and services from flourishing. 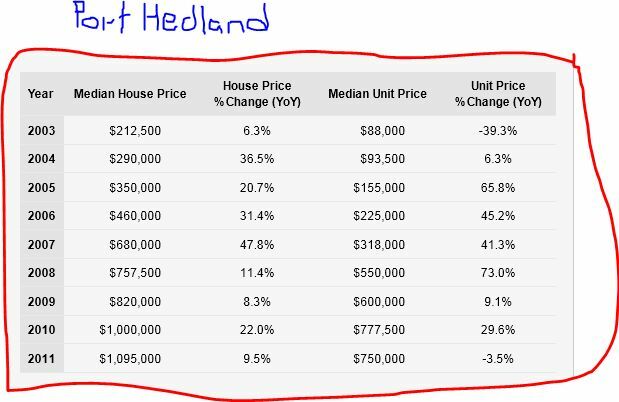 When buying a home in the Pilbara, the numbers just don’t stack up. The median price is $1.18million. Add to that stamp duty of $51,885. The minimum deposit is 5% plus fees. A family would need to find cash of around $112,000 and borrow up to a $1.1million to move in. Loan repayments would start at $7000 per month at 6.4% per annum. To borrow at these levels a couple must have employment earnings of $85,000 each. Having debt of more than three times income leads to financial stress and health issues. High debt levels and financial burdens are well known causes of mental health problems. The link to mental health problems and cost of housing is one of the key reasons why more housing options with different price points are essential for the community to thrive. The other option is renting at $1,900 per week. Unless big business provides subsidies or housing, a family’s income would need to be more than $290,000 per year, which is probably beyond the tipping point for most small business owners and service workers. Low income earners have no hope of keeping their public housing. If a family of four’s income goes above $1,320 per week, they have 2 years to find a private rental of $400 per week. That’s impossible at the moment. This housing crisis did not happen overnight. It is the result of successive state government’s inaction to release sufficient land to meet the needs of business since 1997. Let’s hope that house prices and rents have reached a tipping point, and more land becomes available to solve the housing crisis. Commonwealth Bank, How much can I borrow calculator, February 2013.